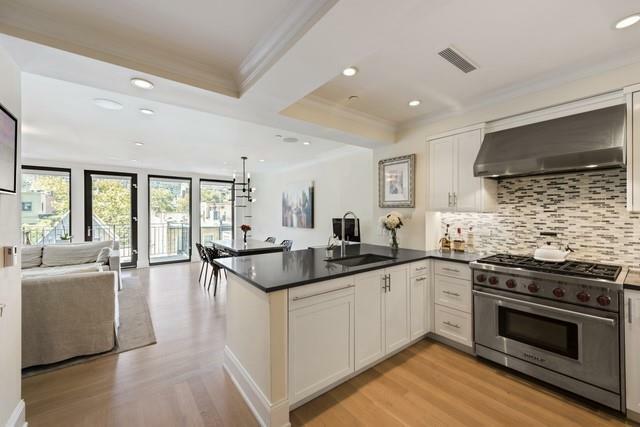 Welcome to your new home through a private keyed elevator at 230 East 63rd Street! The massive 1743 square foot full-floor apartment expands from front to back with light beaming throughout. With open skyline views from the south facing living room and open kitchen, your space is always full of sunlight shining through the floor-to-ceiling windows. 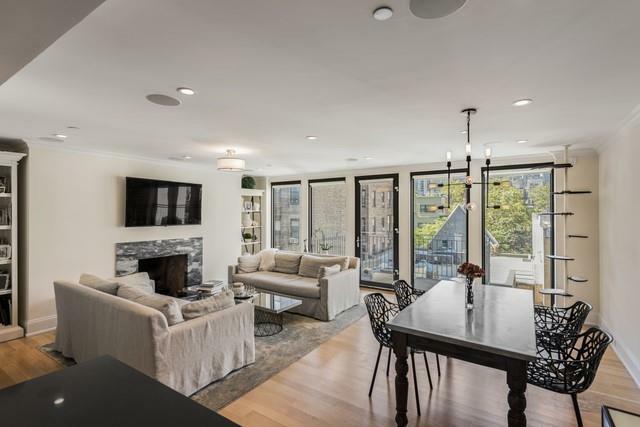 This tremendous two bedroom, two and a half bath with additional dressing room or spare bedroom, boasts wide- plank, white oak flooring, a working wood-burning fireplace, and custom closets with storage throughout. 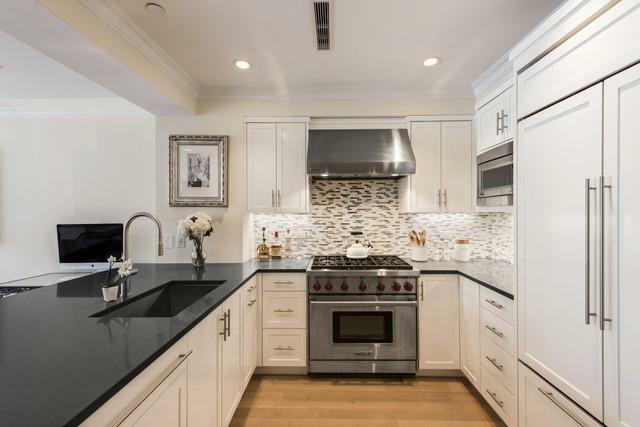 The open kitchen has top-of-the-line appliances that include a six-burner Wolf stove and oven, Sub Zero refrigerator, and Miele dishwasher. Have a cup of coffee on your private balcony overlooking the tree lined streets of Lenox Hill and the skyline of Midtown. Your spa-like bathrooms are finished with Bianco Carrara marble outfitted with heated floors. Currently, the third additional room is upgraded as a custom dressing room and closet with full vanity. This room can easily be utilized as a third bedroom or nursery. The 5th Floor at 230 East 63rd comes equipped with a vented washer/dryer unit. The smart home is wired to support surround sound and wifi capabilities. 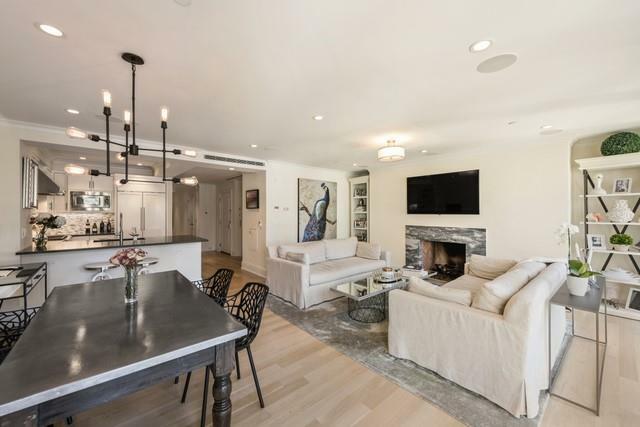 This boutique condominium building has a part-time doorman 7 days a week, a 24-hour virtual doorman, a fitness facility and also a large private storage unit. Situated in Lenox Hill, you are steps away from Midtowns best shopping, as well as the Upper East Sides best fine dining experiences right off Central Park. Be at home in this peaceful and private townhouse style living, with the amenities of a full-service building. Listing courtesy of Adam Mariucci of Compass.